You probably wonder why it's lonely at the top for many worship leaders. When we move into the worship ministry, we often isolate ourselves from those around us, but this is a really bad idea! Sure, the responsibility for the way worship goes falls to you, but is this a burden you want to bear by yourself? The concept of team comes into things here, and when you have a team with you, and behind you, you will find it is a lot less lonely at the top than it would otherwise be. Never the less, there will be times when you have to make unpopular decisions or be tough on one of your team members, and these are the times when you really can feel all alone. That's why we have decided to do a podcast on leadership, and the sometimes lonely road it can become... and ways in which you can strategies and make the journey not as lonely. And do not forget, there's an wonderful worship leader training school that is available a fraction of the total cost of going to Bible College. It's a complete 6 month course covering what you need to know to lead a worship team, from selecting the right songs, joining and arranging songs and going up keys, right through to management of the band, dealing with personalities, conflicts, encouragement and everything else. When you are leading worship in any capacity, don't stumble in the dark! For only $29.77 a month receive the training you might want to not just get by, but function as a worship leader that you're destined to be. Increase your worship leading abilities today (perhaps even get your church to sponsor you... best investment they could ever make!). Click the image below to check it out now with our free webinar, From Zero to Awesome Worship Leading... Recording the worship service in a church sounds like a great idea, but it can also be a nightmare and a total embarrassment! Almost every time I have tried to record the worship service I have been disappointed, or sometimes even disgusted, with the result. I asked myself, why is recording a live church service so difficult, and is there a way to make it sound better without investing in tens of thousands of dollars of recording equipment? 1 Well the great news is that, with just a few tweaks and minimal effort, you can begin to record the worship service live and make it sound pretty professional. So if you want to listen to the worship when the sound person plays it back without cringing, and without trying to excuse the effort as "Well, we were not really being serious," then this is the podcast for you. Using a couple of well-placed microphones can make all the difference, transforming an amateurish recording into a decent and listenable recording, whether you are doing this for the whole church to listen to, or just for your musicians and singers to practice with. In this exclusive podcast, the guys talk about ways you can record your worship so that it sounds great but also isn't a massive production. 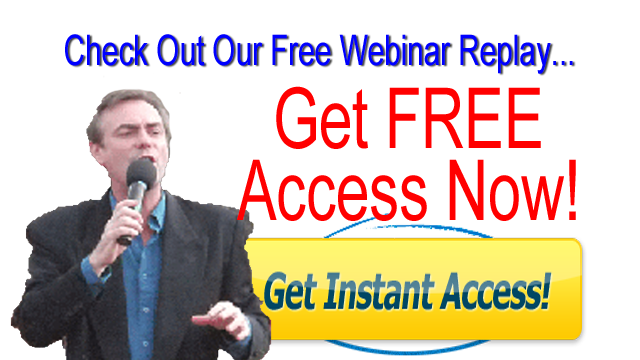 They will reveal how you can do this without super experienced sound guys, and on a budget, using appropriately placed microphones and techniques that could make all the difference. Well worth listening to, even if you are only recording for the purposes of the band. Trust me., bad recordings are cringe-worthy! And don't forget, you can explore our amazing worship leader training academy that's accessible to you at a special deal, but only for a limited time. It is a complete 6 month course covering everything you need to know to lead a worship team, from choosing the proper songs, joining and arranging songs and going up keys, to managing the band, handling personalities, conflicts, encouragement and the rest. So if you are leading worship in almost any capacity, including recording your worship team, don't stumble in the dark! 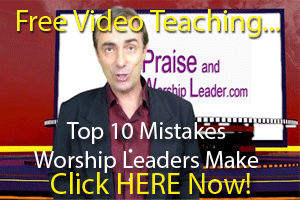 Plus, click on the image below to check it out now with our free webinar, From Zero to Awesome Worship Leading... Silence in worship leading is not a common thing, but it comes in various forms and can be a real feature if handled correctly. Or it can be just plain awkward, sounding like you have lost your place, or lost your mind! So What do the Words Say? What do the words say in the songs we are choosing, and how can we choose songs that are more uplifting, and specifically pointing to Jesus Christ as opposed to songs which are focussed on us? I believe that we need to take note of the words of the songs when we choose them and that as we run one song into another when it comes to music, so our songs also should be compatible when it comes to the lyrics. In this podcast we discover that uninspiring words are not a new thing, and we even look at a classic hymn that was written specifically to combat the plethora of ordinary and even heretical lyrics that were being sung in the church at that time. Yes, folks, believe it or not we have been here before! So this is not a shot at new songs and a claim that all old songs are lyrically sound! This is an honest attempt to examine the types of words we are singing in church, and to honestly ask the question, "What do the words say?" In any age, there are songs with great words and those with less than stellar words. That is the point of this podcast... let us examine the words we are asking our congregations to sing, whether it be in brand new songs or in older songs. If we are leading people into the presence of the Lord, the words are important, and we owe it to our churches to select songs with words that point to Christ, and exalt Him! Listen, learn and enjoy today's worship leader podcast... Put Jesus Back into Easter this Easter! This should be the heart cry of every worship leader, indeed every Christian. We live in a world that preaches political correctness to us every day, trying to remove Jesus and Christianity from Christmas, Easter and every holiday. We are labeled narrow-minded, conservative and bigotted, yet the Church is the one being attacked by so-called liberated and open-minded humanists! 1 This Easter, worship leaders, it is time for us to say enough is enough! Let's Put Jesus back into Easter Today! So Does Age Matter in Worship Leading? Our modern culture celebrates youth and often mistreats age, unlike many cultures around the world where age is respected and celebrated. Especially when it comes to music or anything to do with worship leading? Now please understand, I am all for bringing younger worship leaders through and training and encouraging them. That's the reason we started the Worship Leader Academy... so that we could train worship leaders and bring years of experience to them, and save them from making the mistakes we have made in the past. Does age matter when it comes to worshipping the Lord? Of course, it doesn't! Here's a news flash for all of us, young and old.... we will all join together and worship the Lord in Heaven forever. In that day, does age matter for worship? Definitely not, because we will all be in our prime of life forever with the Lord, worshipping constantly and enjoying His presence forever! So does age matter to the Lord? I don't believe so, I mean look at the likes of Caleb, Joshua, and Moses. Clearly, He loves and uses aged as well as young people. Does age matter for musicians? Again I would say no because some of the greatest musicians and singers of all time are now old and still celebrated. I just saw a 70-year-old Paul McCartney perform wonderfully, so I don't even think the secular world is as obsessed with age as some Christian churches. So, does age matter in worship leading? Well, listen to today's podcast and decide for yourself, but we would argue that age can add something wonderful and powerful to worship leading and that the experiences and wisdom of aged worship leaders is a valid and important thing to bring to the team! Unity in worship is a key ingredient in taking your worship leading from good, or even great, to anointed and amazingly powerful worship. 1 Psalm 133 says this... Psalms 133 Behold, how good and pleasant it is when brothers dwell in unity! It is like the precious oil on the head, running down on the beard, on the beard of Aaron, running down on the collar of his robes! It is like the dew of Hermon, which falls on the mountains of Zion! For there the Lord has commanded the blessing, life forevermore. Unity in worship is more than just having peace around you. Unity is not simply about people being tense but not fighting, unity is an essential, and it has everything to do with the blessing that the Lord bestows upon you and your worship team ( and therefore your church)! Unity in worship leading doesn't mean everybody agrees all the time, but it does mean that your team (and yourself) need to agree to disagree agreeably. I have seen great worship teams full of great singers and players torn apart and effectively rendered useless by disunity. Churches split, team fight, homes are torn apart all through disunity, and the devil has a field day! We need unity in worship desperately! Oh, and worship leaders, I know you have opinions and so do all of the members of your team, but this podcast will provide the breakthrough that your team and your church need to truly worship in spirit and in truth. Ask yourself if being right or feeling justified in your own eyes is worth the cost of disunity, and losing the presence of God in your worship team because you want to feel like you're right! Do you want to be right, or do you want unity in worship? This could be one of the most important podcasts you will ever hear, so please listen and enjoy and be blessed by this amazing teaching on unity and how it can bestow a blessing, even life forevermore on your worship team and your church! Professionalism v Attitude… We’ve all seen it… people who are professional in their playing or singing ability, but they come with a lousy attitude! So the worship leader faces a dire dilemma… do I accept the person because the play well or sing well, and drop my standards to fit their selfish attitude, or do I kick them out because of their attitude and find the band sounds awful? If you have ever faced the question of Professionalism v Attitude, you probably have agonized over this, and even when you made your decision, if things didn’t go well, you have second-guessed your decision. And if you choose to overlook some of the attitudes, you may have a mutiny on your hands, because these people might have the wrong attitude, but they have the right talent and they command the respect of others in the worship team. It all can get very hard, very emotional and very tense, and as a worship leader you are often left wondering if you should just sing with only a guitar this Sunday! It’s lonely at the top many times for a worship leader, and when it comes to decision making, and responsibility, it can be a huge burden to bear. You probably wonder why it’s lonely at the top for many worship leaders. When we move into the worship ministry, we often isolate ourselves from those around us, but this is a really bad idea! Sure, the responsibility for the way worship goes falls to you, but is this a burden you want to bear by yourself? The concept of team comes into things here, and when you have a team with you, and behind you, you will find it is a lot less lonely at the top than it would otherwise be. Never the less, there will be times when you have to make unpopular decisions or be tough on one of your team members, and these are the times when you really can feel all alone. That’s why we have decided to do a podcast on leadership, and the sometimes lonely road it can become… and ways in which you can strategies and make the journey not as lonely. And do not forget, there’s an wonderful worship leader training school that is available a fraction of the total cost of going to Bible College. It’s a complete 6 month course covering what you need to know to lead a worship team, from selecting the right songs, joining and arranging songs and going up keys, right through to management of the band, dealing with personalities, conflicts, encouragement and everything else. When you are leading worship in any capacity, don’t stumble in the dark! For only $29.77 a month receive the training you might want to not just get by, but function as a worship leader that you’re destined to be. Increase your worship leading abilities today (perhaps even get your church to sponsor you… best investment they could ever make!). Recording the worship service in a church sounds like a great idea, but it can also be a nightmare and a total embarrassment! Almost every time I have tried to record the worship service I have been disappointed, or sometimes even disgusted, with the result. I asked myself, why is recording a live church service so difficult, and is there a way to make it sound better without investing in tens of thousands of dollars of recording equipment? Well the great news is that, with just a few tweaks and minimal effort, you can begin to record the worship service live and make it sound pretty professional. So if you want to listen to the worship when the sound person plays it back without cringing, and without trying to excuse the effort as “Well, we were not really being serious,” then this is the podcast for you. Using a couple of well-placed microphones can make all the difference, transforming an amateurish recording into a decent and listenable recording, whether you are doing this for the whole church to listen to, or just for your musicians and singers to practice with. In this exclusive podcast, the guys talk about ways you can record your worship so that it sounds great but also isn’t a massive production. They will reveal how you can do this without super experienced sound guys, and on a budget, using appropriately placed microphones and techniques that could make all the difference. Well worth listening to, even if you are only recording for the purposes of the band. Trust me., bad recordings are cringe-worthy! And don’t forget, you can explore our amazing worship leader training academy that’s accessible to you at a special deal, but only for a limited time. It is a complete 6 month course covering everything you need to know to lead a worship team, from choosing the proper songs, joining and arranging songs and going up keys, to managing the band, handling personalities, conflicts, encouragement and the rest. So if you are leading worship in almost any capacity, including recording your worship team, don’t stumble in the dark! 311- Silence in Worship Leading… Golden or Awkward? Silence in worship leading is not a common thing, but it comes in various forms and can be a real feature if handled correctly. Or it can be just plain awkward, sounding like you have lost your place, or lost your mind! Sometimes a silence in worship leading indicates that the band has lost its way, or that they are madly trying to rearrange their music to get the job done. This is an awkward silence. Sometimes it indicated that someone has missed their cue, or has frozen up, unable to play or sing as required. This too is an awkward silence. On the other hand, sometimes silence in worship gives the congregation a tremendous opportunity to align their hearts with the Spirit of God, to plumb the depths of their soul and to worship in a new and beautiful way. That’s an example of a golden silence (not just a plain yellow awkward one!). So how do you avoid the awkward yet allow space for the constructive and beautiful version of the silence in worship? Yes, silence can be your friend, even if all that proceeds and follows it is at maximum volume! And in this pod, we discuss whether silence has to be total, can hear a pin drop silence, or whether silence in worship can have some basic music behind it, holding things together. We sometimes forget that there are many varieties of silence, just as there are many varieties of worship leading styles, so in this episode, we talk about how you can explore the various kinds of silence, and how you can incorporate these into your Sunday service. Either way, this is an intriguing podcast looking at the silence in worship leading that can be golden, contemplative and beautiful or just plain awkward! Political correctness appears to have taken over the world, with so many people, including Christians, being so careful about what they say that they are barely able to say anything at all! We cannot say Merry Christmas anymore, because apparently, it offends some people, so we have to say happy holidays! I am not allowed to be offended if you say Easter is about bunnies and eggs, but you can be offended if I mention Jesus in association with Easter. What is the world coming to!!!! This podcast is our praise and worship leader attempt to fly in the face of the political correctness that is sweeping the nations of the developed world. Any passing person would recognise most of this linguistic standard is absolutely stupid! These days if a man wears a skirt and wants to be called a woman, we have to address him as her! It seems that long held standards in our society are being thrown away, along with our brains! Surely we as worship leaders have the right, even the divine calling, to stand for truth and to proclaim the truth of God’s Word, regardless of the consequences! Without trying to offend our congregations, surely we have the mantle and calling to lead people into God’s presence instead of trying to sidestep around some clearly man-made rules! As political correctness in the world is stifling and affecting the way people are speaking, so it is also trying to do the same to us in the church! One of the great hallmarks of President Trump (whether you like him or loathe him) is that he has ignored much of the pressure to speak in a politically correct manner. While you may not agree with his politics or his mannerisms, I admire the fact that he is not bending over to accommodate the various lobby groups. And in the same way as worship leaders, we do not have to bend over to the various lobby groups in the church, but under the direction of the pastor and leadership, we should stand for and sing about what is right and true! So this controversial podcast on political correctness is worth listening to, even if you don’t agree with everything. 308- What do the Words Say? What do the words say in the songs we are choosing for worship leading? This is an important question because many times we find ourselves as worship leaders choosing songs that we like, or songs that are current. And let’s face it, some of the songs have some pretty uninspiring and even questionable lyrics, don’t they? What do the words say in the songs we are choosing, and how can we choose songs that are more uplifting, and specifically pointing to Jesus Christ as opposed to songs which are focussed on us? I believe that we need to take note of the words of the songs when we choose them and that as we run one song into another when it comes to music, so our songs also should be compatible when it comes to the lyrics. In this podcast we discover that uninspiring words are not a new thing, and we even look at a classic hymn that was written specifically to combat the plethora of ordinary and even heretical lyrics that were being sung in the church at that time. Yes, folks, believe it or not we have been here before! So this is not a shot at new songs and a claim that all old songs are lyrically sound! This is an honest attempt to examine the types of words we are singing in church, and to honestly ask the question, “What do the words say?” In any age, there are songs with great words and those with less than stellar words. That is the point of this podcast… let us examine the words we are asking our congregations to sing, whether it be in brand new songs or in older songs. Put Jesus Back into Easter this Easter! This should be the heart cry of every worship leader, indeed every Christian. We live in a world that preaches political correctness to us every day, trying to remove Jesus and Christianity from Christmas, Easter and every holiday. We are labeled narrow-minded, conservative and bigotted, yet the Church is the one being attacked by so-called liberated and open-minded humanists! This Easter, worship leaders, it is time for us to say enough is enough! Let’s Put Jesus back into Easter Today! There are many reasons we should put Jesus back into Easter. The first is that people will come to church at Christmas and Easter time when they will refuse to darken the door of a church at other times of the year. Let’s put Jesus back into Easter for those who need to hear the good news message of the Gospel. They are in the church for the day, so we should be able to lead people to the Lord in our worship. The second reason is that our people need to realise that Easter, with all the hype, the chocolate and the bunnies, hot crossed buns etc., is still about Christ. Easter is about the incredible sacrifice that God made, sending His Son to die for our sins on a cruel cross. We as believers need to remember and honour Jesus Christ at Easter, not get sucked into the culture that our modern society thrusts upon us. As worship leaders, we need to choose songs carefully and make sure that we put Jesus back into Easter this season. So listen to today’s podcast and make sure that we are pointing people to Christ in our music, not ourselves, not Church, not a denomination and definitely not bunnies, chocolates and eggs. Worship Leaders, we can be the difference in bringing people to Christ this Easter, so let’s commit to putting Christ into Easter once again! Does age matter in Worship Leading? Older worship leaders would say no, but younger ones would say, or at least imply a firm yes! Our modern culture celebrates youth and often mistreats age, unlike many cultures around the world where age is respected and celebrated. Especially when it comes to music or anything to do with worship leading? Now please understand, I am all for bringing younger worship leaders through and training and encouraging them. That’s the reason we started the Worship Leader Academy… so that we could train worship leaders and bring years of experience to them, and save them from making the mistakes we have made in the past. Does age matter when it comes to worshipping the Lord? Of course, it doesn’t! Here’s a news flash for all of us, young and old…. we will all join together and worship the Lord in Heaven forever. In that day, does age matter for worship? Definitely not, because we will all be in our prime of life forever with the Lord, worshipping constantly and enjoying His presence forever! So does age matter to the Lord? I don’t believe so, I mean look at the likes of Caleb, Joshua, and Moses. Clearly, He loves and uses aged as well as young people. Does age matter for musicians? Again I would say no because some of the greatest musicians and singers of all time are now old and still celebrated. I just saw a 70-year-old Paul McCartney perform wonderfully, so I don’t even think the secular world is as obsessed with age as some Christian churches. So, does age matter in worship leading? Well, listen to today’s podcast and decide for yourself, but we would argue that age can add something wonderful and powerful to worship leading and that the experiences and wisdom of aged worship leaders is a valid and important thing to bring to the team! Unity in worship is a key ingredient in taking your worship leading from good, or even great, to anointed and amazingly powerful worship. Unity in worship is more than just having peace around you. Unity is not simply about people being tense but not fighting, unity is an essential, and it has everything to do with the blessing that the Lord bestows upon you and your worship team ( and therefore your church)! Unity in worship leading doesn’t mean everybody agrees all the time, but it does mean that your team (and yourself) need to agree to disagree agreeably. I have seen great worship teams full of great singers and players torn apart and effectively rendered useless by disunity. Churches split, team fight, homes are torn apart all through disunity, and the devil has a field day! We need unity in worship desperately! Oh, and worship leaders, I know you have opinions and so do all of the members of your team, but this podcast will provide the breakthrough that your team and your church need to truly worship in spirit and in truth. Ask yourself if being right or feeling justified in your own eyes is worth the cost of disunity, and losing the presence of God in your worship team because you want to feel like you’re right! Do you want to be right, or do you want unity in worship? This could be one of the most important podcasts you will ever hear, so please listen and enjoy and be blessed by this amazing teaching on unity and how it can bestow a blessing, even life forevermore on your worship team and your church!